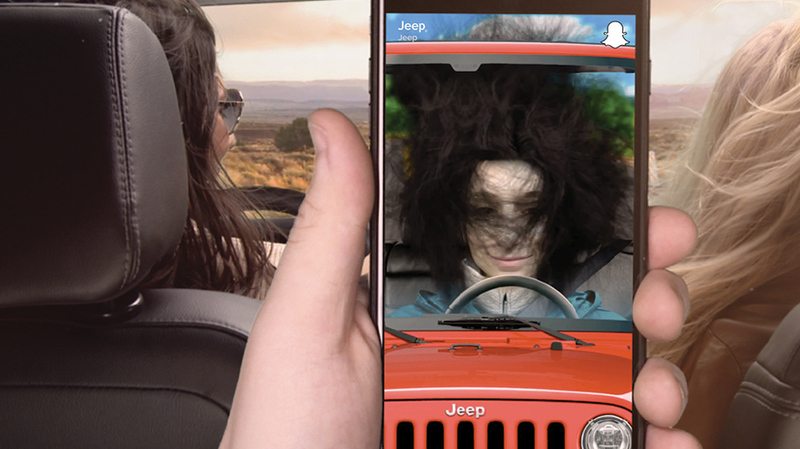 If you open Snapchat tomorrow to use one of the app’s face-swapping lenses, you’ll see an ad for Jeep that makes it look like your hair is blowing around while you’re driving a car. This is the second year that Jeep has used Snapchat for its “4×4 Day” campaign. Last year the brand ran sponsored geofilters where users could apply a graphic of mud tracks over photos and videos and the brand also opened an account to push out organic content. Instead of geofilters, Jeep created a sponsored lens this year because, “of the popularity of the feature on Snapchat—they’re seeing that is their No. 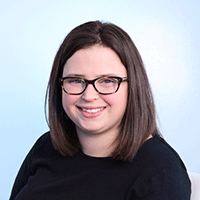 1 engagement mechanism on the platform,” said Marcie Perez, Jeep brand media and social media manager. To promote the lens, Jeep is running posts on Facebook and Instagram and also created a social video for the campaign. Lenses are only live on Snapchat for 24 hours, so Jeep also created a Snapcode (Snapchat’s version of a QR code) that will be distributed on marketing and social media through October that people can scan with the app. Jeep opened its own Snapchat account last year. When asked about how the account will be used for this campaign, Perez said it “won’t be the primary focus—the primary focus on Snapchat will be the lens,” hinting that Snapchat is more effective for paid ads than organic marketing. Lenses are core to Snapchat’s ads for brands, but the app is under growing pressure from Facebook and Instagram to keep up. Last week, Facebook rolled out Facebook Stories and Camera Effects, which rip off of two popular Snapchat features. As part of the launch, Facebook also said that it’s working with a handful of movie studios to create branded lenses.